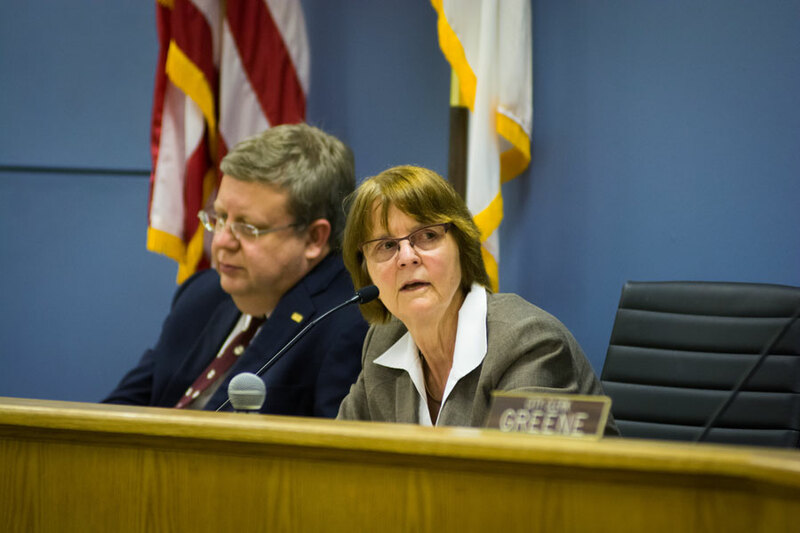 Evanston Mayor Elizabeth Tisdahl attends a City Council meeting. Tisdahl told aldermen at Monday’s meeting that Evanston’s share of state income taxes will likely get cut due to the state’s growing debt pile. In the state’s fifth month without a budget, aldermen unanimously passed a resolution Monday urging Illinois politicians to work toward the release of certain funds owed to local governments such as Evanston. City Council passed the resolution a day before the Illinois House of Representatives is set to reconvene to consider legislation releasing the funds demanded in the council’s resolution, including revenue from state sales taxes, video gambling, casino gaming and funding for emergency service centers. 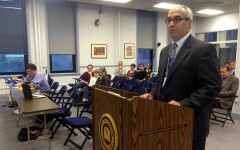 City Council also asked for release of motor fuel tax revenue — funds that help pay the salaries of some Evanston staff. Since July, the state has withheld over $150 million in funds owed to local governments due to the lack of budget appropriations, leaving services such as road maintenance in financial danger. However, the House bill does not currently have any Republican representatives as co-sponsors and is without Gov. Bruce Rauner’s support. Additionally, Evanston’s share of state income taxes is likely to see substantial cuts following the passage of a budget to help balance Illinois’ growing debt, Mayor Elizabeth Tisdahl said at the meeting. Although the state is currently making payments to the local government distributive fund — which provides state income tax revenue to communities — Tisdahl said she anticipates the fund will be targeted to alleviate the state’s debts. 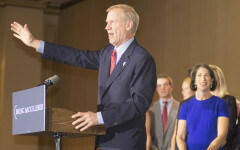 Rauner initially proposed in February a 50 percent cut to local government distributive funds, which would cut about $3.75 million from Evanston. In discussion of the city’s own proposed budget for 2016, Tisdahl suggested adding $100,000 to the city’s police and fire pension payments. Aldermen unanimously approved the change to the proposed budget, which is scheduled for adoption on Nov. 23. The city’s proposed 2016 budget includes an $800,000 property tax levy increase, the necessity of which Ald. Jane Grover (7th) questioned at a previous budget meeting last month. Although staff concocted budget scenarios that would reduce the property tax increase — including maintaining vacancies in the police and fire department — they continue to push for the 2 percent property tax levy increase in light of a potential property tax freeze at a state-wide level. 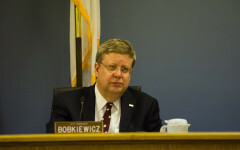 City manager Wally Bobkiewicz told The Daily that although the cuts to state contributions to Evanston has been brought up in the past, the exact reductions are still up in the air. However, Illinois Comptroller Leslie Munger estimated in September that the state bill backlog will grow to $8.5 billion by the end of the year if the budget stalemate continues.